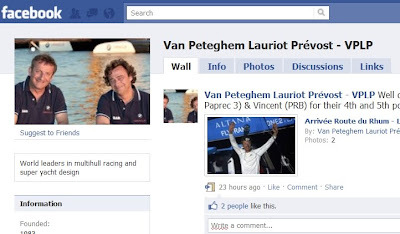 VPLP the world leader in multihull design both racing and cruising is present on Facebook. The VPLP facebook page is now updated on a regular bases by one of the team Naval Architect. You will find information both about their racing and their cruising design. Right now, the page is busy with the arrivals of the competitors in the “Route du Rhum”. The VPLP designs have been really successfull again. The magnificent Magic Cat is available for charter with Bernard Gallay Yacht Brokerage and will be at the Antigua Yacht Show. 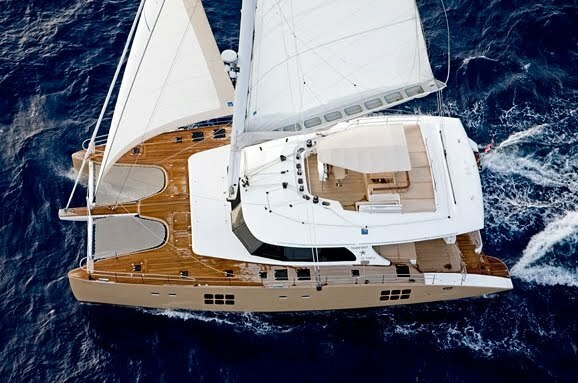 The Antigua Yacht Show will take place from the December the 6 th to the 11 th at Falmouth and English Harbour in Antigua. There will be 120 yachts in display, motor and sail, monohulls and multihulls ranging from 60 feet to 289 feet. 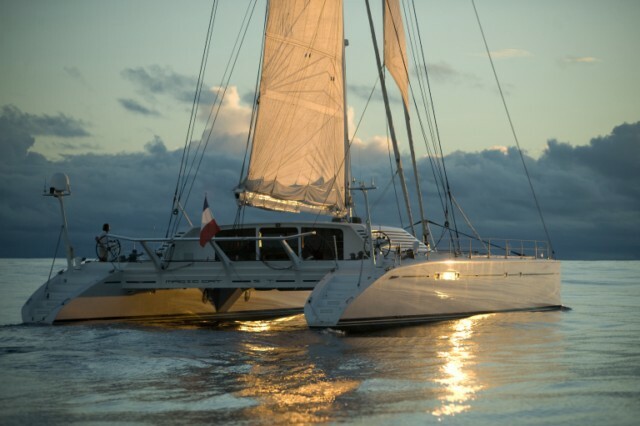 Magic Cat will be docked with 9 other catamarans. I already introduced to you the the Raku 30 m designed by Grainger Designs. The design team based in Thailand and in France came out with the Raku S60 a blue water cruising luxury catamaran. The Raku range expresses simplicity and elegance. This design is a base for reflection with the future owner. The Raku are built using from the highest quality materials in foam, glass, carbon and epoxy. 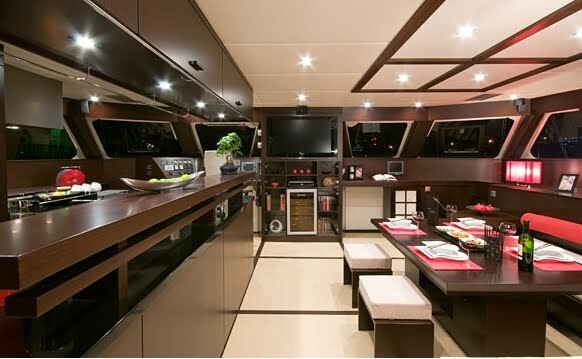 This in an exemple of interior layout with four double cabins and a very large salon. The Raku should also be quite fast like most of the Grainger Designs. “ENDLESS SUMMER” is a 25 meter luxury catamaran with a very innovative design including a huge tender garage. I would like to invite you aboard , to take a tour …………. 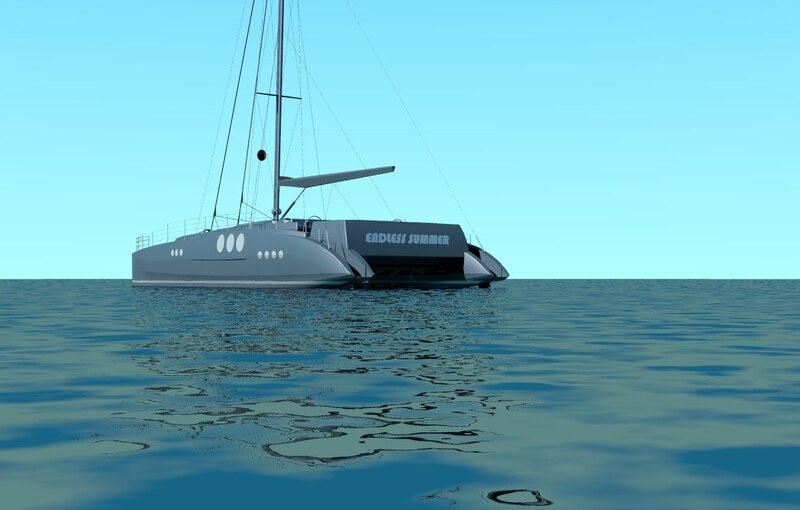 This design has been conceived as a high performance global cruising catamaran. With a 25 meter length and a 11.30 meter beam the SuperCat 25 will have impressive deck spaces as well as an exciting internal layout. Unique design features have been incorporated into the design in order to differentiate her from the other large catamarans on the market. The high performance hull form is married to styling that is inspired by the 1960’s Jaguar MKII with sweeping sensual lines. The aft garage is able to store the tender as well as jet-ski and diving gear. When open this section folds out to create a beach deck. This design provides a dynamic and space enhancing solution to the storage of the tender and diving gear. The raised cockpit provides excellent views and is similar to the high performance catamarans that tend to have an open bridge deck arrangement. The tender garage has resulted in this raised cockpit configuration. This has also enabled me to design a full beam main saloon. 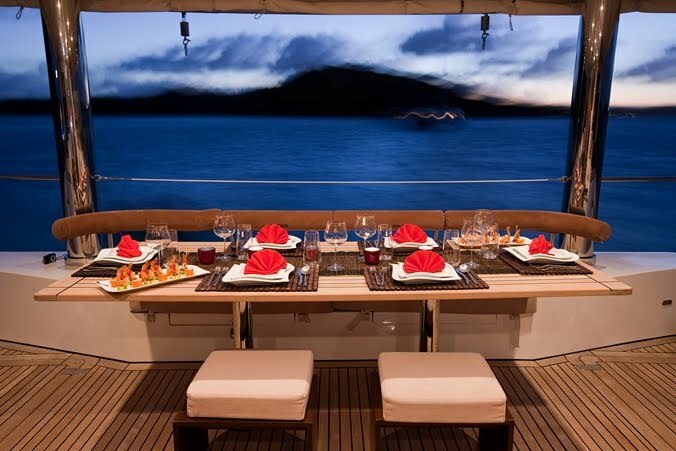 This will appeal to owners who intend to use her in a private capacity , but will also appeal to charter guests. There is now a big move towards large catamaran production with a number of production offerings. I hope that this project will add interest from the Super Yacht sector. At 25 meters the SuperCat 25 will offer high performance as well as impressive living spaces. Please let me know what you think and feel free to get in touch to discuss this projects in more detail. I really want to thank Greg Young and the Tag Yacht team to let me be the first in the world to publish this release and the first pictures of this really innovative, high-end, never seen before 60 foot catamaran. I introduced you the Tag 60 in May 2008. 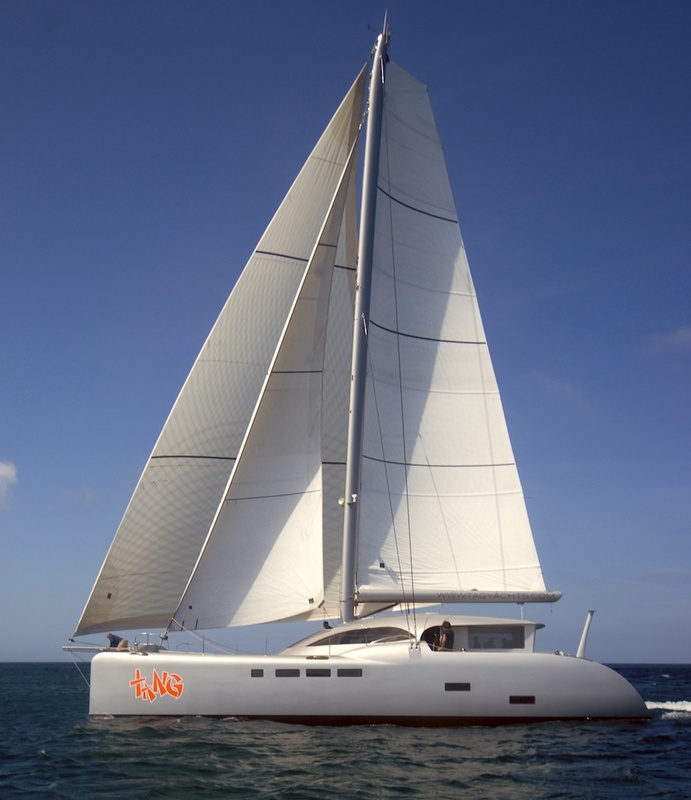 This luxury catamaran is now born, sailing fast and available for sea trials. I am copying the press release and I have included a slideshow of the first pictures. Check out the whale in front of the Tag 60, a good luck sign. The first TAG 60 was officially launched on October 2nd. Designed by Greg Young and built by TAG yachts, it represents 3 years of design and development work to produce a cutting edge semi-production design. 100% carbon fibre construction. Vacuum consolidated and cooked. Perfect helm position for accurately viewing rig and sea for performance sailing and easy maneuvering. The first TAG 60 is currently undergoing sea trials in St Francis, South Africa and will sail via the Caribbean to debut at the 2011 Miami Boat show. Unusually this performance vessel features a sauna as the owner plans to cruise British Columbia up to Alaska. “Seazen II”, launched in 2008 by Sunreef Yachts, is available for sale with Peter Wiersema from Moorings Brokerage. “Seazen II” is immediately available and in perfect conditions. It was maintained by her crew since its launching. It features a contemporary Japanese zen style interior with 3 doubles cabins, 1 Double Twin cabin (with 4 folding systems, ideal for the kids), 1 crew cabins with two berths and an additional crew berth in the starboard bow. You can get in touch with Peter, in Fort Lauderdale, at the following number Mobile +1 954 260 4913.